* Partial profits signal for bonds TLT, a nice 7% gainer in 26 trading days. 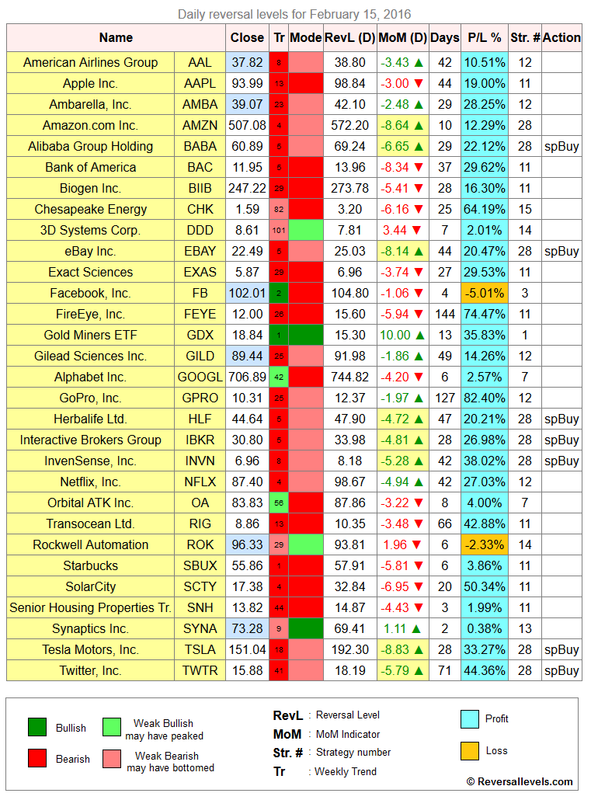 * Speculative Buy signal for BABA, EBAY, HLF, IBKR, INVN, TSLA and TWTR. * An abundance of spBuy signals is an indication that the market is getting ready for a good bounce. That doesn't rule out even lower lows further down the road, but for healthy companies using the spBuy signals to buy at 20-30% discounts will usually pay off in the longer term. 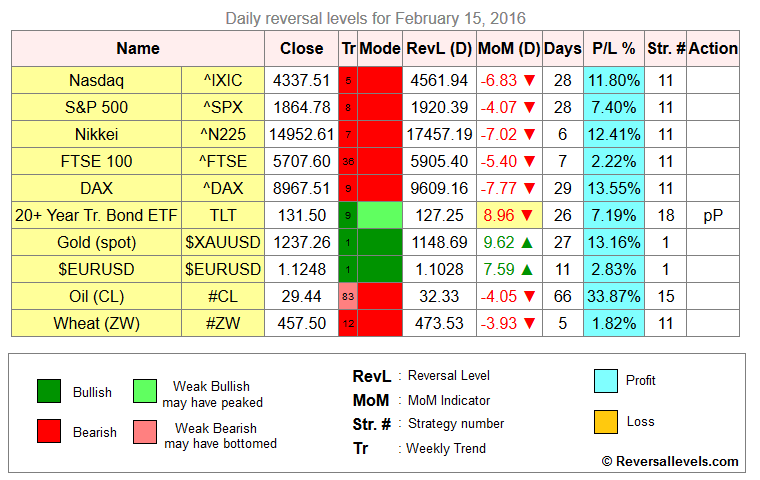 Weekly reversal levels for February 13, 2016.